LBS Centre for Science and Technology (A Government of Kerala State Undertaking) is scheduled to conduct Kerala State Eligibility Test (K SET) on 25th Feb 2018. A huge number of candidates who are looking for the Lecturer in various University / Colleges / Institutes in Kerala applied for the exam. 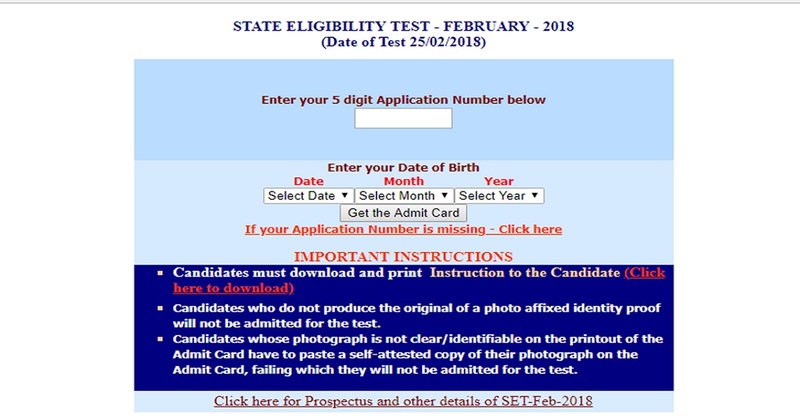 Candidates who had applied are searching for the Kerala SET Admit Card 2018 as it is the crucial document to carry for the exam and contains details regarding exam venue, roll number etc. LBS Kerala released Kerala SET Hall Ticket 2018 today. Candidates who had applied can download hall ticket from the direct link provided below. The LBS Centre for Science and Technology ( LBSCS &T), Thiruvananthapuram the premier institute of computer training and consultancy, registered under the Travancore-Cochin Literary , Scientific and Charitable Societies Registration Act XII of 1955 was established by Government of Kerala in 1976. The Centre was started by the Government of Kerala as an Autonomous body with the main objectives that the Centre would act as a link between the industries and technical institutions so as to benefit society through their mutual interactions. Every year it conducts various examinations for the recruitment of different posts. 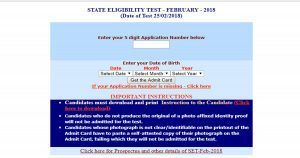 This year it has released notification for the Kerala SET 2018 and the candidates who had applied can download admit card from the official website. LBS Centre for Science and Technology released notification and invited online applications for the Kerala SET. A huge number of eligible and interested candidates applied for the exam. Candidates who had applied can download hall ticket from the direct link provided below. Without admit card candidate is not allowed to write the exam. Paper II will be a test based on the subject of specialization of the candidate at the Post Graduate (PG) Level. There will be 120 questions in total carrying one mark each for the subjects under Paper II except for Mathematics and Statistics. For Mathematics and Statistics, there shall be only 80 questions carrying 1.5 marks each. Click on KSET Admit Card. Stay tuned to this website. We will update KSET answer key, results here. Press CTRL+D to bookmark this page for easy navigation.